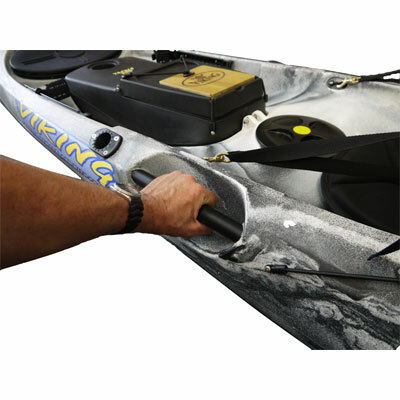 The Viking ProFish Reload is a fishing kayak boasting some awesome features, with a hull design that performs superbly in everything from rougher coastal waters to calmer inland waters. The 14ft 9in hull cuts well through the water to provide good forwards paddling speed, whilst the flared bow rides over and through choppy waters efficiently. It doesn’t lack in stability either! A well defined keel-line gives excellent straight line tracking too. All this makes the ProFish Reload one of the top performing fishing kayaks available in the UK. Whilst being a great kayak to paddle in a range of conditions, the Viking ProFish Reload also has some really impressive features. Within the foot well we find the Viking 'Tackle Pod'. 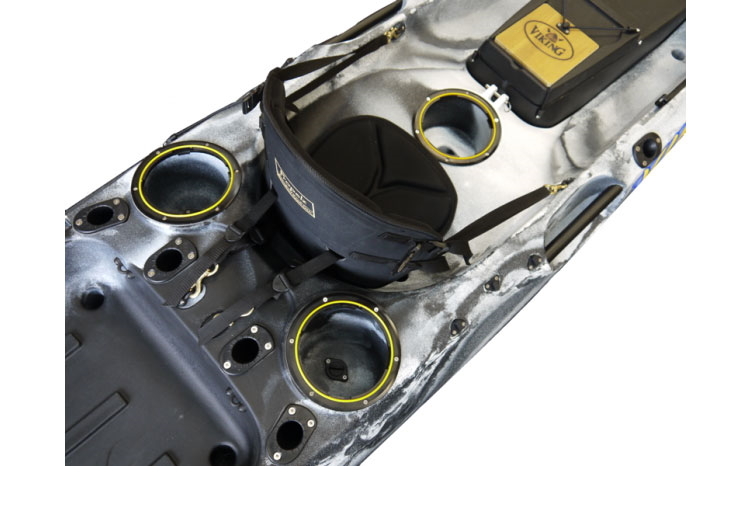 This is a fully removable fish finder/transducer installation pod combined with a large tackle storage space. Load up all your gear at home, then simply put the pod into the kayak when it’s time to launch. The Tackle Pod also has handy built-in wooden bait chopping board and a hinged lid for access to the tackle storage area. 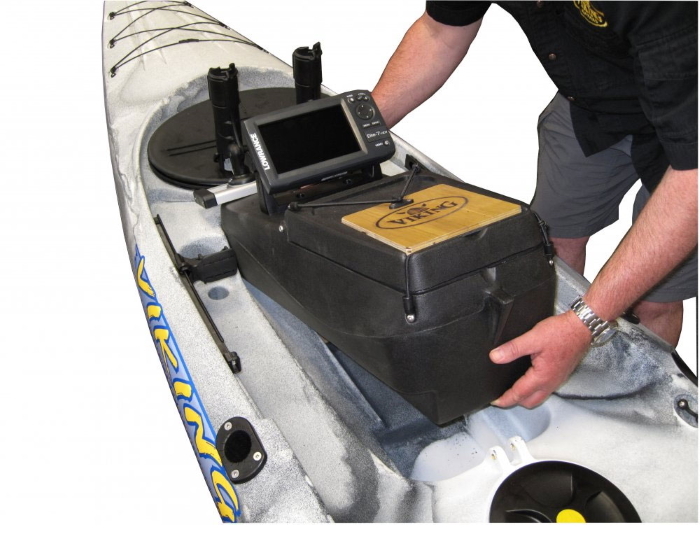 A fish finder can easily be mounted on the top of the pod, with cabling and power source kept inside the pod, and the transducer mounted within the designated recess in the base of the pod – fish finder installation made easy! The Reload Pod can be removed and replaced with the optional Kid-Pod – this provides a small seating area so that a small child can join you on the water. The Reload also has a good sized bow hatch with waterproof rubber hatch. There are also 3 screw hatches providing additional storage in the cockpit and behind the seat. 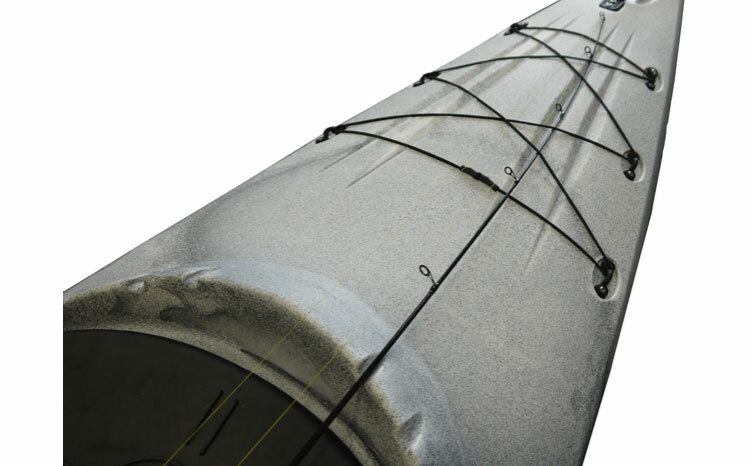 These hatches open to molded-in buckets which are useful for bait storage. 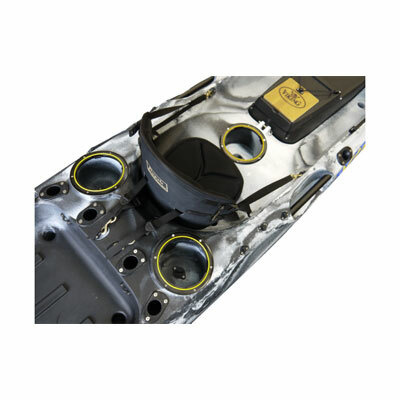 6 flush mount rod holders come as standard with 4 rear facing behind the seat, and 2 front facing, located either side of the foot-well. The rear tank well is very spacious with room for a storage crate and plenty more. 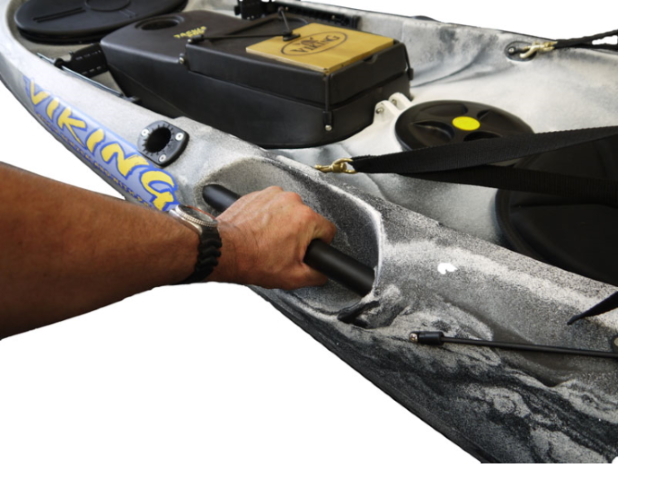 The optional Viking ‘Chill-Pod’ can be added to the tank-well to store your catch and keep it in top condition whilst on the water. 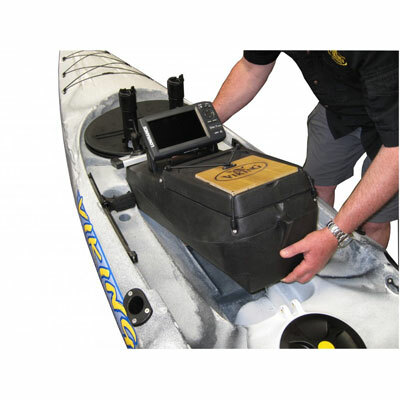 The foot well has good leg room and will suit taller paddlers, with adjustable footrests to make finding a comfortable paddling position easy. 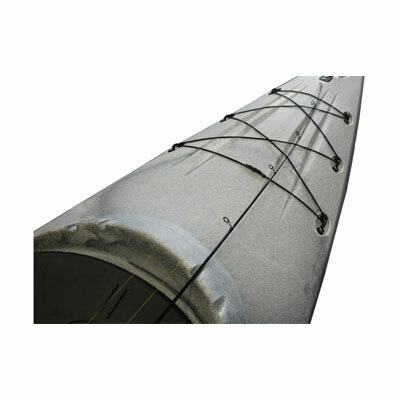 The Reload comes ‘Rudder-Ready’ with pre-installed rudder line tubing – this makes installation of the optional Viking Rudder kit quick and easy. Molded-in threaded brass inserts can be found at the bow and stern on both side of the hull for easy anchor trolley install. 5 carry handles feature to make carrying the Reload easier and more comfortable, with 1 bow and 2 stern rubber-grip webbing handles, and 2 tubular side handles - these provide a firm and solid hold of the kayak at its mid-point for loading onto a roof rack. This is a top kayak with all the latest features, and is one of the best kayaks for saltwater and freshwater kayak fishing in the UK! The innovative ‘Rod Slots’ along the bow allow you to securely lay down your fishing rods - ideal when launching or landing through surf.